Show and Tell Meg: FO Friday: It's An Egg ... wait ... It's An Alligator! FO Friday: It's An Egg ... wait ... It's An Alligator! I gave a little hint at this project on Wednesday - so here is the big reveal! I was looking around on the Itty Bitty Knits group board on Ravelry and I saw that they were having a knit-along for the month of March. 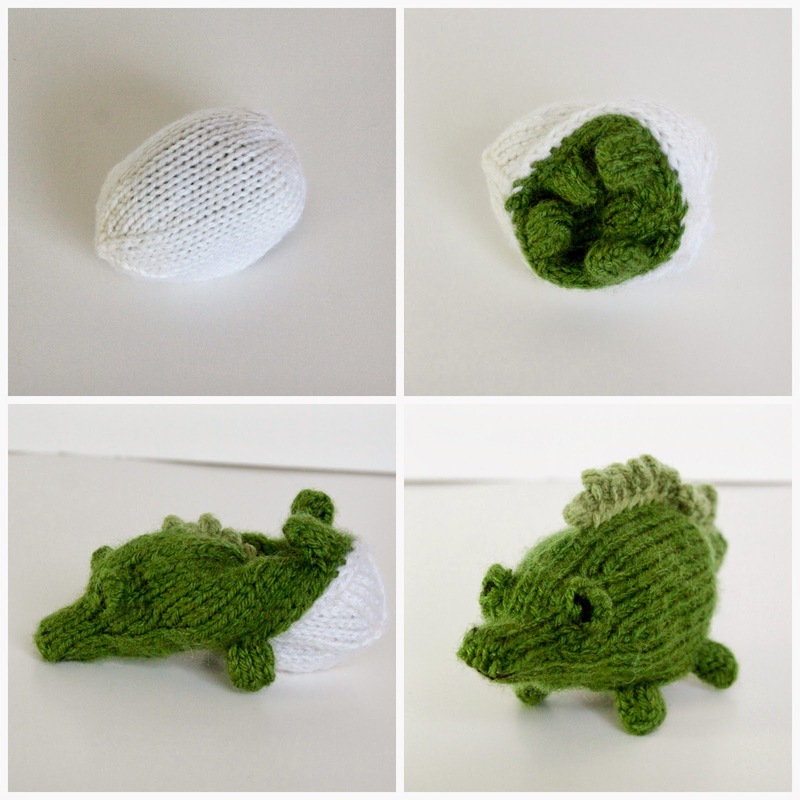 It was for the Egg to Alligator pattern by Susan B. Anderson. The pattern is from her newest book, Topsy Turvy Knitted Toys, which I already had on hand, and since it's such a quick and small project I decided to join in just in the nick of time! I'm thinking it's an appropriate Florida Easter toy, lol. Look as his cute little face! 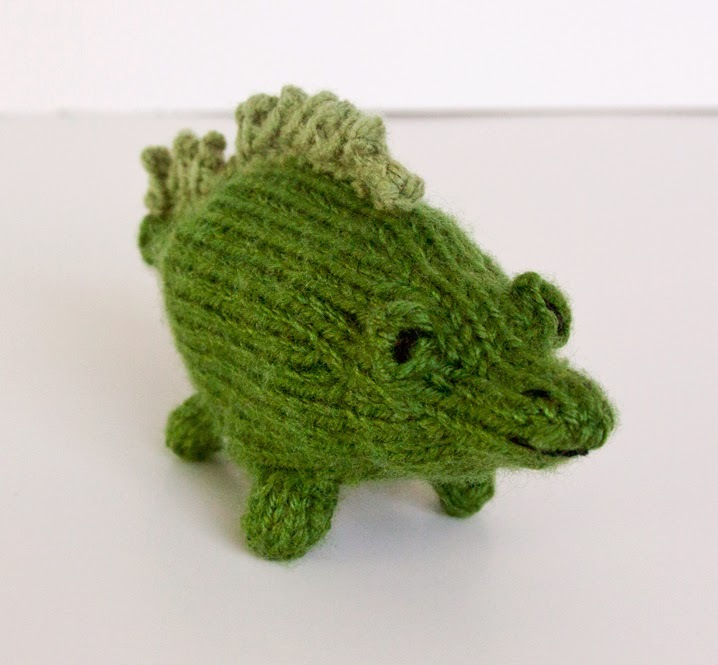 For my alligator I used Vanna's Choice yarn in kelly green for the body and Red Heart With Love in Lettuce for the ruffle. And here is where this little guy gets really cool ... See that little pocket of white in his belly? He flips into an egg! I can't help it - I just love these reversible toys. The egg is made of Everyday Soft Worsted yarn in Snow White and there is a little bit of poly fil in the head and tail. The face is embroidered on. I'm so glad I found out about this knit-along. I was able to make this guy up over the course of 3 days and I just love it :) Not that I need a group as an excuse to make a toy, but I think the knit-alongs/crochet-alongs are a nice little extra motivator. You get to see other peoples versions of the same thing and it makes for fun conversation in the groups. 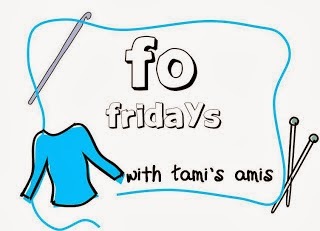 So that's my big reveal for the week :) Head over to Tami's Amis' Blog to see what pretty things others have made!